Hydro One - Design-Build Leaside TS to Main TS - Robert B. Somerville Co. Limited. 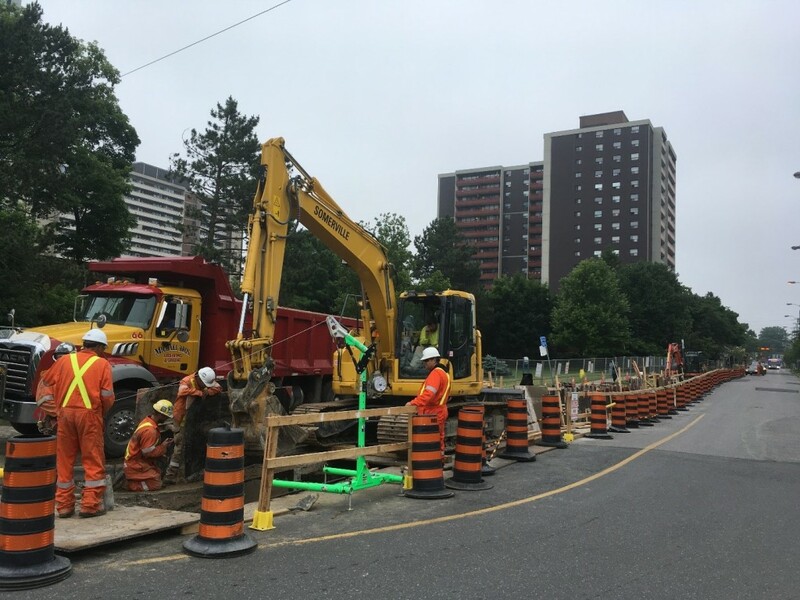 Owner: Hydro One Networks Inc.
Work for this contract included the Civil/Electrical design and replacement of 2 complete circuits of high voltage cable (230 KV) in Toronto, at 2 separate locations. The first location is from Main Transformer Station to Lumsden Junction – a distance of 1.5Km. The second location is from Leaside Transformer Station to Todmorden Junction – a distance of 800m. Existing cables are contained in an oil filled pipeline. The new system consists of a concrete encased ductbank with solid copper core cables (XLPE).